The Shepherd Rams women’s basketball team (12-13, 8-11 MEC) had their most dominant performance of the season by defeating the West Virginia State Yellow Jackets (10-15, 10-9 MEC) at home in Shepherdstown, West Virginia, by a 93-66 score on Thursday evening, Feb. 16. What made the night extra special was the fact that Shepherd senior guard Morgan Arden became the Mountain East Conference’s (MEC) all-time leading scorer in the game. Arden, who finished with 18 points, a tie for the second most in the game, now has over 1,800 career points in her storied career at Shepherd. Also against the Yellow Jackets on Thursday evening, Arden posted a game-high nine assists. 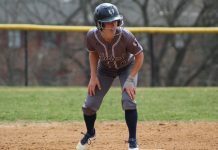 Arden continually was trying to get her teammates involved in the offense from the start, as the Yellow Jackets’ defenders were trying to close in on Arden whenever she had the ball. In the first half, the Rams came out strong, making a statement on defense by not allowing the Yellow Jackets to score until the 5:48 mark in the first quarter. The Rams played very solid defense, but the Yellow Jackets shot ice cold to start the game, as they had trouble knocking down open jump shots. The Rams were able to navigate through the Yellow Jackets’ full-court press and find open shooters on the offensive end early on. Shepherd’s shooters knocked down their open shots in the game’s opening minutes, forcing the Yellow Jackets to respond. Shepherd earned a 15-4 lead six and a half minutes into the game, but an 11-8 run by the Yellow Jackets to close out the first quarter helped them get back into the game and establish somewhat of an offensive flow. A couple of offensive rebounds by the Yellow Jackets led to converted free throws and a layup opportunity that gave the Yellow Jackets some life offensively in the second half of the first quarter. After one quarter of play, the Yellow Jackets trailed the Rams by a 23-15 score, but the Yellow Jackets carried themselves with a sense of confidence that they could play with the Rams. 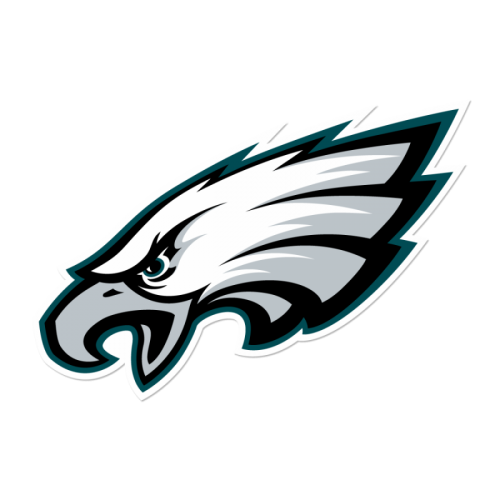 Both defenses really locked down the opposing sides’ offense in the second quarter, as the Rams were only able to come out with a slim 16-14 advantage in the quarter. The Yellow Jackets were able to find success against the Rams’ defense inside in the second quarter. In the second quarter alone, the Yellow Jackets converted on four layup opportunities to help them stay in the game with the Rams. The outside shot was not falling for the Yellow Jackets, as they shot just 1-for-14 from three-point range in the first half (7.14 percent), showing the importance for the Yellow Jackets to establish an inside game. Shepherd did not find much success from beyond the arc as well in the first half. As a team, the Rams shot just 1-for-9 in the first half (11.11 percent) from behind the three-point line, halting their ability to grow their lead. After the Yellow Jackets’ defense adjusted a little bit, the Rams had trouble scoring in the second quarter. The few baskets that the Rams were able to get came courtesy of converting free throw opportunities and Shepherd shooters finishing off nice passes from Shepherd ball handlers by executing their layup and mid-range opportunities. This combination of factors helped Shepherd earn a 39-29 lead at halftime. There was a growing sense that the Yellow Jackets, despite their slow start offensively, were still in the game. Shepherd needed to gain some separation room somehow before the Yellow Jackets got comfortable. Rams junior guard Kayla Tibbs provided this separation room by lighting up the scoreboard from three-point range in the third quarter. Tibbs helped the Rams stretch their lead to 19 points with a 60-41 score by the end of the third quarter by knocking down three three-point attempts that sent the Shepherd bench and home crowd into an absolute frenzy. 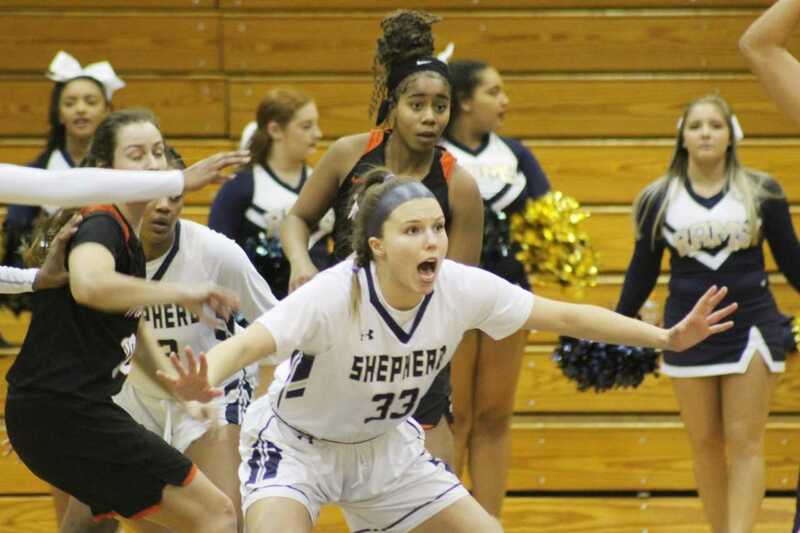 Shepherd junior guard Kayla Tibbs (13), pictured here in a home loss to Notre Dame back on Feb. 1, helped the Rams pull away from the Yellow Jackets by making four three-point attempts in the second half. (Tatum King/The Picket). In the third quarter alone, Tibbs had 11 of her game-high 22 points. The Yellow Jackets simply had no way to defend Tibbs, who at times simply could not miss. Tibbs kick-started a largely successful three-point effort for the Rams from three-point range in the second half. The Rams shot 10-for-14 (71.43 percent) in the second half from three-point range thanks largely to the efforts of Tibbs and sophomore guard Lauren Reed. Reed, who made all four of her three-point attempts in the fourth quarter, finished the game with 14 points. She was also able to find her open teammates, compiling three assists in the game as well. Tibbs and Reed made eight of the Rams’ 10 three-pointers in the second half to help Shepherd pull away from West Virginia State in the second half. 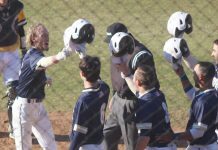 The Yellow Jackets did not quit, however, despite the deficit. By displaying good ball movement, the Yellow Jackets were able to get inside and finish against the Rams’ defense in the fourth quarter. By knocking down a few three-point attempts as well, the Yellow Jackets were starting to gain some confidence offensively. This confidence quickly faded when the Rams started making jump shots on the other end, however. In the fourth quarter, the Yellow Jackets’ full-court press, much like it had all game long, proved largely ineffective against the Rams. 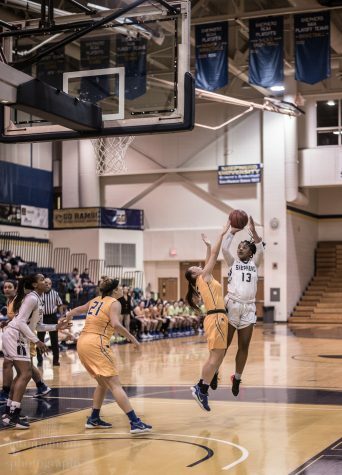 Junior guard Kari Lankford and other Shepherd ball handlers were able to make their way down the court by weaving around and sometimes through the Yellow Jacket defenders and finding open shooters down the court, who often times knocked down their open looks. Shepherd was able to empty its reserves with a few minutes remaining with a large lead after this offensive onslaught took place. The Rams went on to win the game by a commanding 93-66 score. The Rams forced 15 turnovers on the night, turning them into 25 points. Shepherd also won the rebounding battle by a 40-36 margin, but the Yellow Jackets were able to grab 20 offensive rebounds that led to 20 second chance points that helped them stay in the game for a little bit longer than they did. Without these second chance points, Shepherd could have won this game by 30 plus points. The Yellow Jackets shot just 37.1 percent (23-for-62) overall for the game, including a dysmal 7-for-25 effort from three-point range (28 percent). From the free throw line, the Yellow Jackets certainly could have shot better as well, as they went 13-for-19 (68.4 percent) from the foul line. Yellow Jackets senior forward Jasmine Davis was the Yellow Jackets leading scorer on the evening. Davis compiled 18 points against the Rams and shot 3-for-4 from beyond the arc. Senior guard Aurreeshae Hines was the only other Yellow Jackets player to reach double figures in scoring. Hines had 13 points, a game-high six rebounds, and a team-high two steals on the evening, but also had four turnovers in the game, the second most by any player in the game. The Rams had a very efficient night offensively, knocking down 48.5 percent (33-of-68) of its shot attempts. After a slow start from three-point range, the Rams heated up in the second half to help themselves finish with a 47.8 shooting percentage (11-for-23) from beyond the arc for the game. When the Rams got to the free throw line, they were particularly effective, as they made 16 out of their 19 attempts (84.2 percent) from the foul line on the night. Shepherd had four total players reach double figures in scoring. Tibbs had five assists to go along with her 22 points. Senior guard Tiffany McKinney shot 6-for-13 to help herself finish with 15 impressive points in the game. McKinney attacked the basket and finished well around the rim against the Yellow Jackets. Junior guard Kair Lankford had near double-double effort for the Rams with her nine points and eight rebounds. Lankford got after it on the defensive end as well for Shepherd, registering one block and a game-high five steals. She was able to pressure Yellow Jackets’ ball handlers and frustrate them all game long. With the win, the Rams have now moved up into eighth place in the MEC standings. The Rams have the potential to move inside of the top five of the MEC with a few more wins down the stretch, as they are just one game behind Wheeling Jesuit, Urbana, and Fairmont State, respectively. 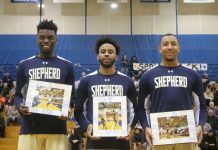 Shepherd will attempt to win the fourth game out of its past five outings when it hosts Charleston at 2 p.m. in the Butcher Center in Shepherdstown, West Virginia, on Saturday afternoon, Feb. 16.